BitCAD – is a multipurpose smart platform based on the Ethereum blockchain. BitCAD users create reliable, trustworthy relationships between counterparties, thereby levelling out distrust, unreliability and unpredictability of business partners. Platform’s mission lies in providing a venue for seamless integration of business and computer technology. BitCAD will help users to automate routine business processes, find business opportunities globally and locally, make instant value transactions and resolve disputes in a trustless environment. 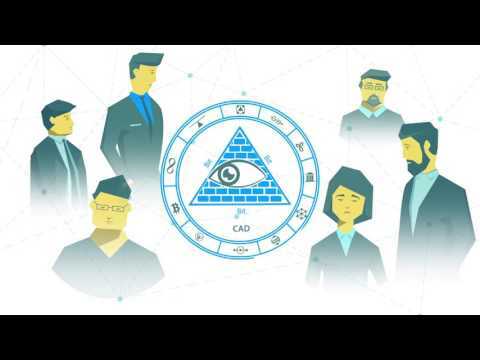 Thanks to blockchain technology BitCAD eliminates financial and legal intermediaries and enables users to form more agile supply chains through smart contracts that automatically find, negotiate with and close deals with partners the world over. This white paper explains the basics of using BitCAD, benefits and challenges of real world implementation and practical application advice, with the aim of increasing efficiency, flexibility and modernization of business processes.